We’re lucky enough to have not one, but two sons who are now chefs and so chef Joe created an amazing Rhubarb tarte tatin for us at the weekend. Using freshly picked sticks and all those ‘cheffy’ tricks, like making caramel, that needs a degree of skill and concentration to do properly. Needless to say it was heavenly – just need him to come home soon to make it again! 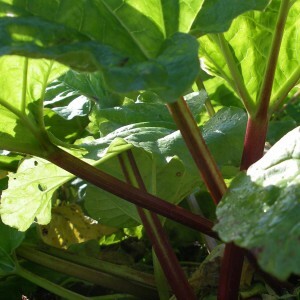 I put the recipe on our partner website at the Keveral Community of Growers, where lucky box customers are now getting our delicious rhubarb too.